1.25” with image of her holding lantern as she administers to a fallen soldier. 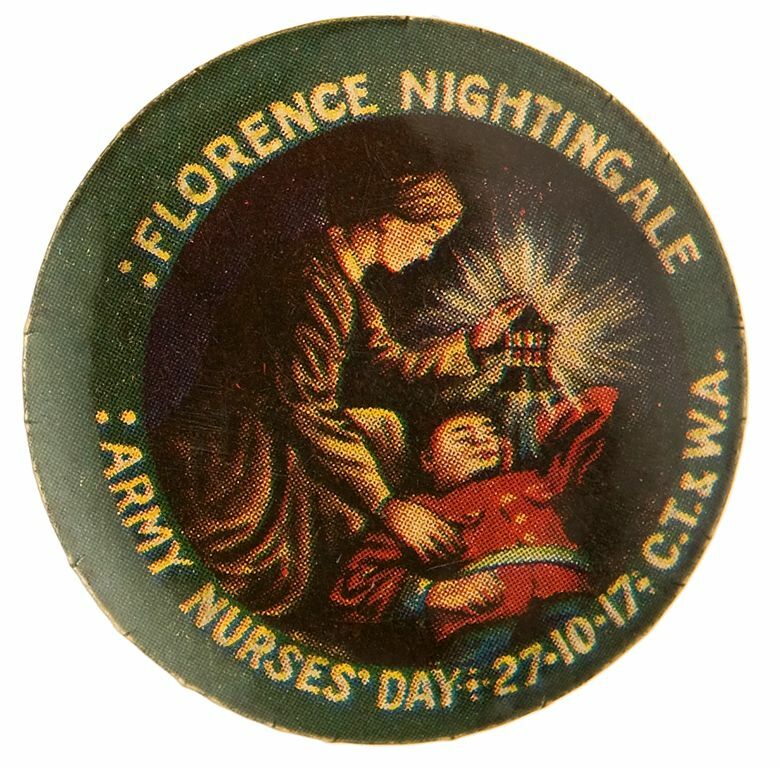 Lower text is “Army Nurses’ Day 27-10-17-C.T. & W.A.” The only button we know of to picture her. Issued as a war fund raiser in 1917. Text a little off-center to the right but o/w essentially Mint.